But you don’t have to bear it anymore. 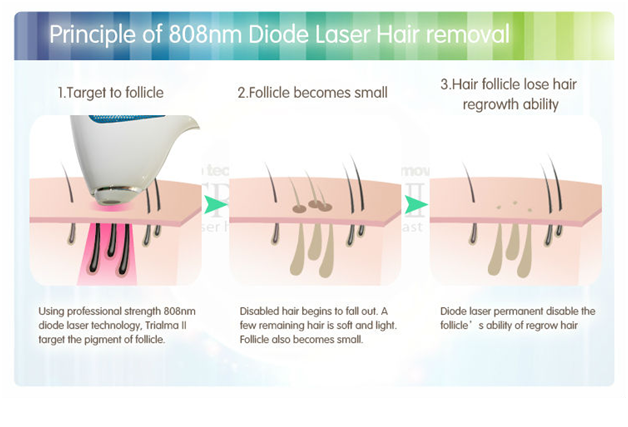 Dezire clinic have Laser Hair Reduction treatment which offers a safe, long-term solution for unwanted hair without the side effects of other methods. 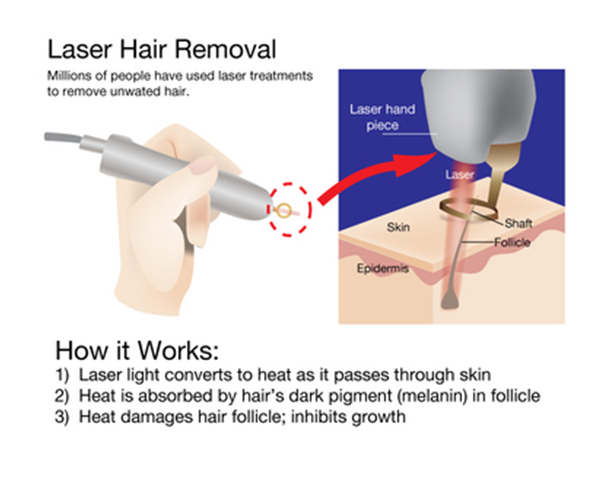 The laser targets pigment in the follicles, which is then converted to heat. It is the combination of heat and light that is delivered to the hair root and follicle that destroys its capacity to grow new hair. We have US FDA Approved diode and candela and laser imported from USA , which can reduce the hair permanently without any side effects .it offers a safe, long-term solution for unwanted hair without the side effects of other methods. How laser hair removal is done? For hair removal we have highly advanced laser machine which reduces the growth of hair with each session in a painless way and without affecting the skin .the laser machine which we are using have cool tip technology which does not produce much pain or heating of the skin as the tip cool the skin of the part which is treated. Most people do not require any treatment for discomfort by the laser as a cooling machine keeps on cooling the skin as the laser passes over, easing any discomfort. It will be necessary to have several treatments to disable all hair follicles. Depending on the body part generally 6 to 10 sessions are required and the gap between each session is 3 weeks. In the week following the treatment, it may appear like your hair are growing which is normal as those hairs are the residue of the destroyed follicles, which will fall out on their own. The time between treatments differs from person to person due to their hair growth cycle which is around 3 weeks. For both male and female we can reduce the hair permanently on virtually any hair bearing part of your body including your arms, legs, bikini area, back, etc.these are commonly area which are most frequently treated. Avoid extended UV exposure for 7 days post-treatment. Over the counter medication is recommended for post treatment discomfort. You may also cool towels, ice packs or aloe vera to alleviate discomfort due to heat. Avoid using seat warmers immediately after treatment. Avoid any additional laser treatments or chemical procedures on the treated area for at least 2 weeks post-treatment or until healing has occurred. Using a broad spectrum UVA/UVB SPF 30 or higher is critical when receiving laser treatments and is recommended ongoing for maintenance. If you experience any side effects, such as hypo- or hyper-pigmentation, prolonged redness or swelling, , call or come in for instructions on treatment. To achieve the best results, complete the full treatment schedule at the intervals recommended by the doctor. Treatments are usually given at intervals of 3 weeks, or when new hair growth is noticed. For the best results laser hair removal treatments should not be delayed further than 6weeks as it takes approx. 4- 12 weeks for follicles to re grow. Almost anybody who has undesirable hair is a candidate for laser hair removal… Laser hair removal achieves the best results when the patients’ skin is fair and has dark coarse hair. What precautions I have to take before and after laser hair removal? How long is the laser hair removal treatment? Treatment time can vary based on the area. The upper lip takes only a few minutes while the back or legs can take up to an hour. Prices may varies from person to person as everyone’s needs are different. The cost of laser hair removal in delhi at dezire clinic depends on the body part to be treated, number of session required and type of machine to be used .we have attractive discount packages which can be told during consultation . You can visit our center in south delhi ,safadarjung enclave , near AIIMS to know the latest offers and discounted package . 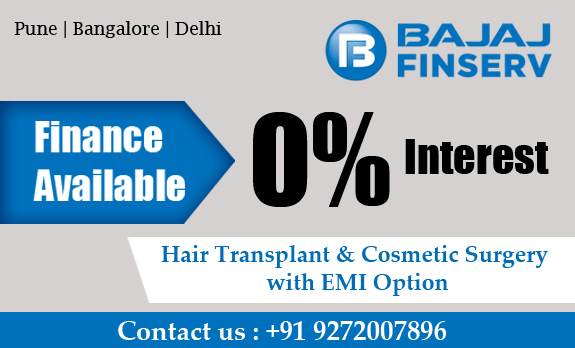 We offer interest free emi on laser hair removal for full body package which can be availed through bajaj finance without any interest. For further information regarding hair removal treatment cost kindly call us on +919717470550, +919205950249 or mail us on dezireclinicindia@gmail.com or you can visit our clinic for detailed consultation with the expert doctor.